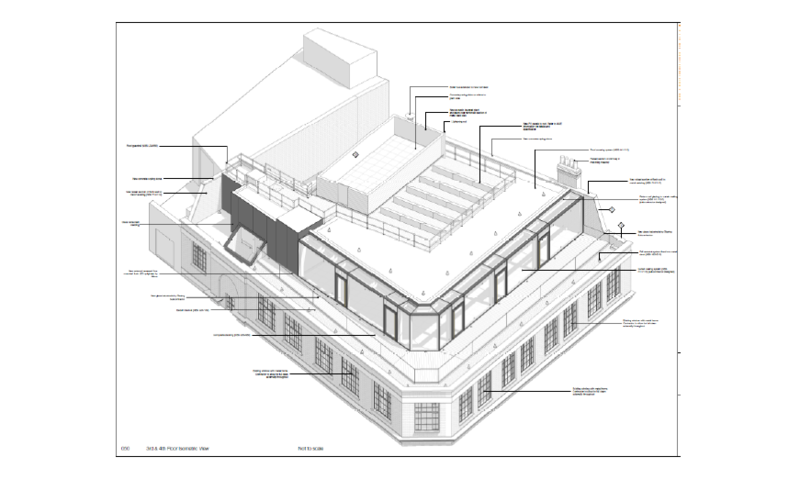 Refurbishment and vertical extension of the existing early 1900’s 4 storey office building. A contemporary glass extension with a new roof top plant area was formed on top of the existing property with Tenants still in occupation on the lower floors. The existing building frame was re-used without the need for foundation works to enable to creation of the new office space.